When looking to update a home, there are many different services that people look for in a home improvement company. Seneca Creek Home Improvement offers friendly, reliable service along with a variety of products to improve not only the aesthetic look of a home, but also improve the over all energy usage of a home. Seneca Creek Home Improvement provides home improvement services for residential areas in suburban Maryland. They offer exterior home remodeling including the replacement of windows, siding, roofing, doors and gutters. They start their services by completing an in-home free consultation to see what the homeowner's needs are. Seneca Creek Home Improvement is committed to providing high-quality, affordable services in a no-pressure atmosphere. Replacing windows is the most common home improvement for homeowners. Environmental consciousness and energy efficiency has taken an upward swing in recent years, and with that, people are looking at what they can do to improve their home. Older homes have single-pane windows and more homeowners are now opting to replace those with more energy efficient multi-pane windows. The new multi-pane windows help insulate and protect your home. Seneca Creek Home Improvement will be there for any window replacement needs and offer energy efficient solutions for homeowners. When looking at siding, homeowners usually look at the "curb-appeal" of the outer portion of their home. Recently, vinyl siding has gained in popularity due to its cost-effectiveness, low maintenance and its availability in a variety of styles and colors. Seneca Creek Home Improvement offers those products along with their superb service with a cost that is economical. Another way to add "curb-appeal" is to reevaluate the front door of a home. Recent innovations in door design make this part of a home remodel key. Recent trends offer unusual shapes and sizes for a front door entry way. Seneca Creek Home Improvement can help you replace and configure a new front door offering a more aesthetically pleasing first impression of a home. Roofing and gutters go hand-in-hand while doing a home remodel. Seneca Creek Home Improvement knows the importance of both these and will work with the homeowner to install the most up-to-date environmentally and economically friendly system so they can get the most out of it. 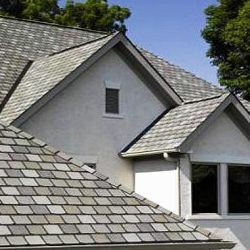 Aluminum is the primary material that is used in modern gutter systems. It is lightweight, durable and free of harmful chemicals. When gutter systems are designed properly, they can even be used to gather rainwater and irrigate the lawn or garden providing an eco-friendly option for a home. Any product that does not harm the environment and generally has a positive impact on the environment. The use of recycled materials has become more prevalent. The use of products like that helps the homeowner become more aware of the environment around them. FAQ from the roofers at Seneca Creek Home Improvement: What happens after contacting us ? Once a homeowner contacts Seneca Home Improvement, they will set up an appointment for one of their professionals to come out and perform an in-home free consultation and estimate of services. They will provide the homeowner with key information to help them make a decision that fits their external home improvement needs in a non-pressure environment.